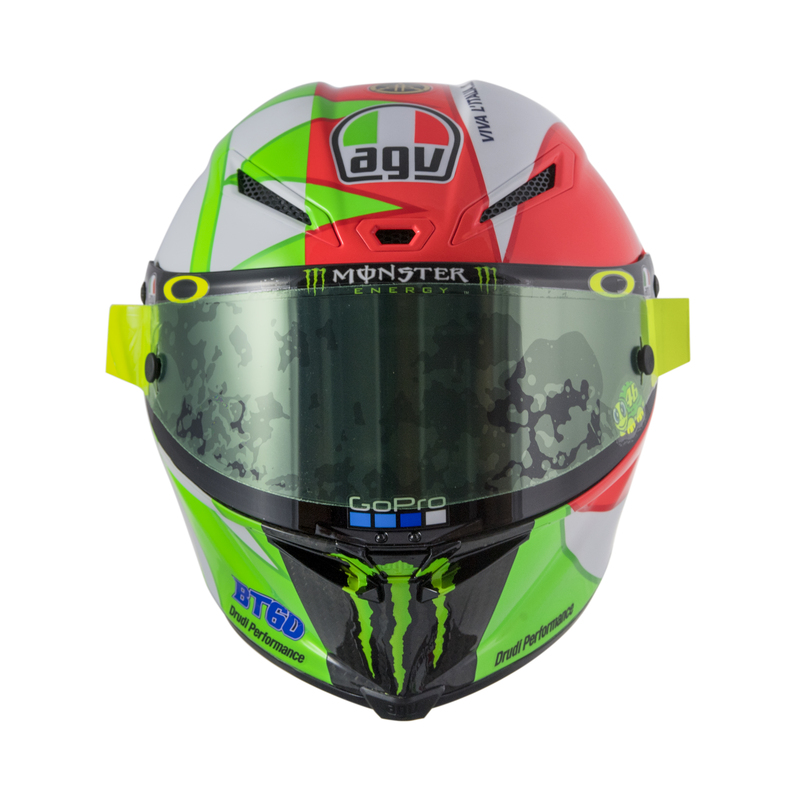 The latest in unveilings for dramatic helmet designs is for the AGV Pista GP R racing helmet used by seven-time MotoGP champion Valentino Rossi. 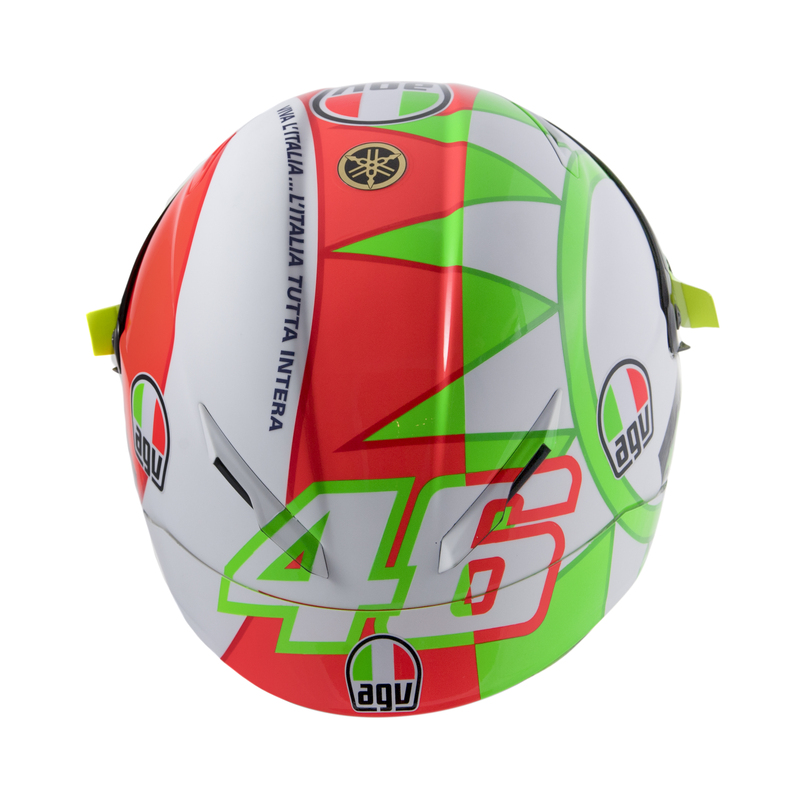 The new design that Rossi unveiled at the Italian Grand Prix, hosted at the Mugello circuit, is a “Tricolore” design based on the colors of the Italian flag. 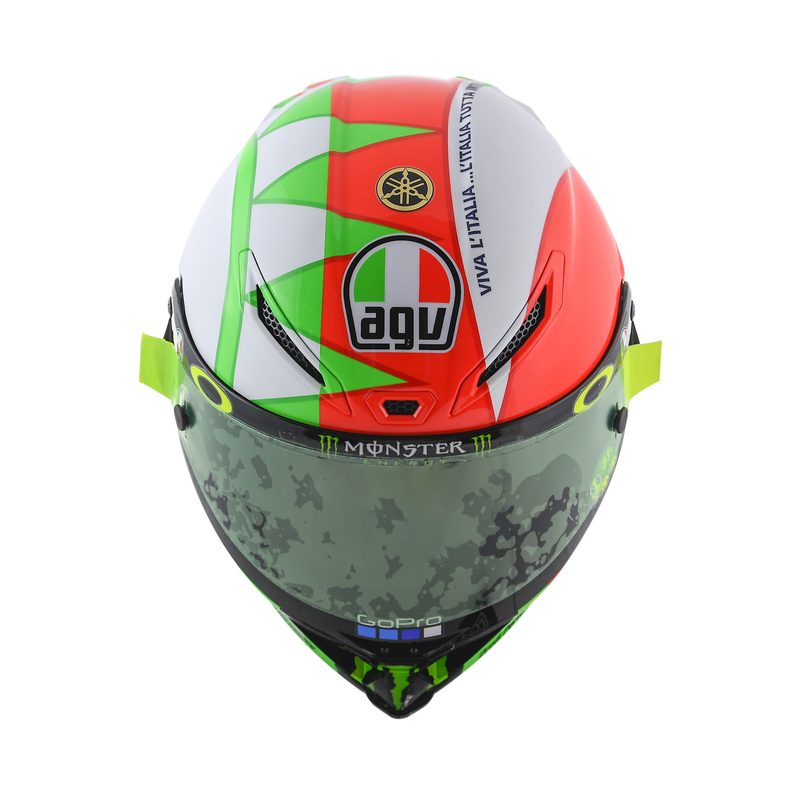 “The Italian ‘tricolore’ flag returns to this new version of the AGV Pista GP R helmet after several years in which Valentino had preferred other equally evocative themes for this famous event at Mugello,” said an AGV representative to The Drive. 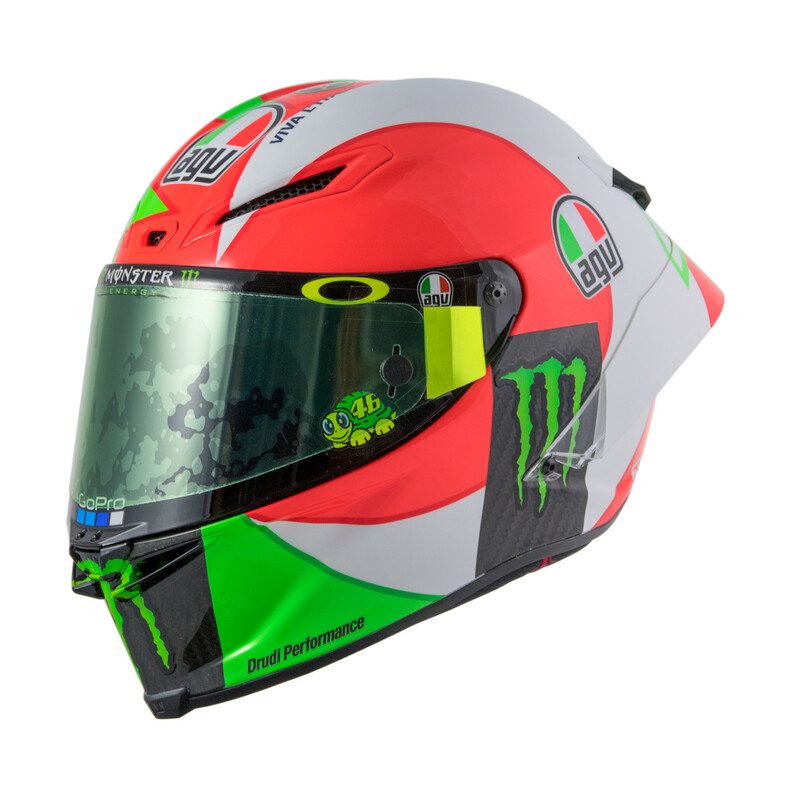 It’s no coincidence that the Italian-themed helmet design was unveiled on June 2, which is Republic Day or “Festa della Repubblica” in Italy. It’s when Italy celebrates the date in 1946 that the nation voted to be a republic rather than a monarchy after the fall of fascism. 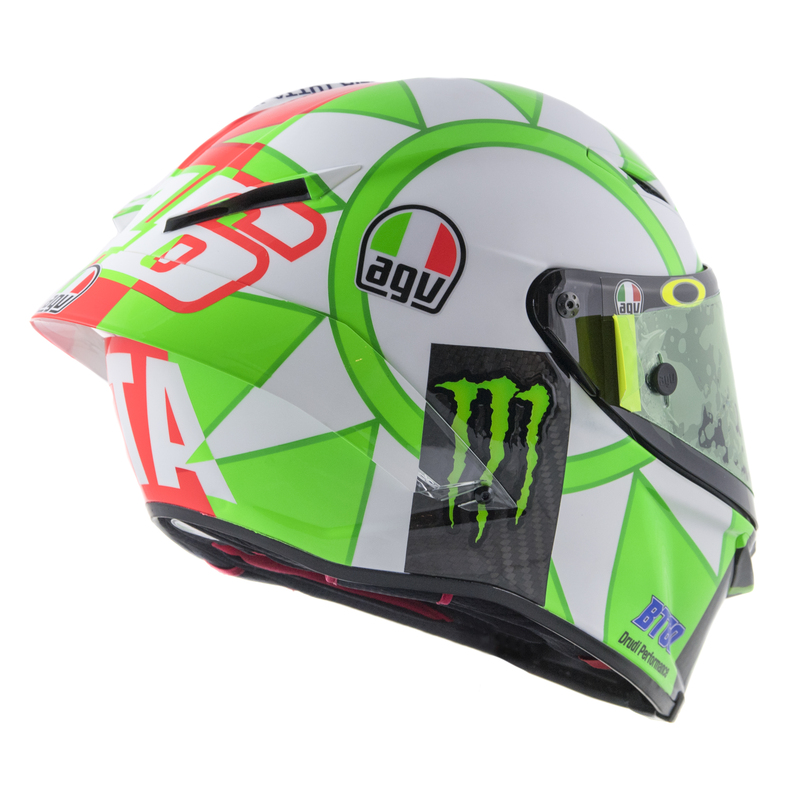 The design of the helmet is a bold take on Rossi’s sun-and-moon aesthetic that uses bright neon red and green with plenty of white to break up the vibrant colors. 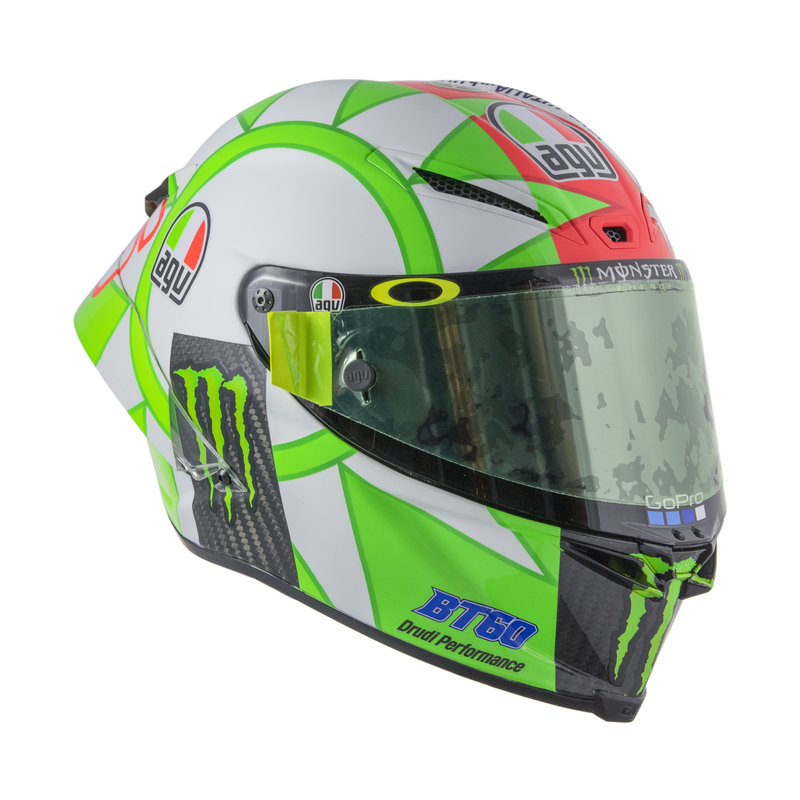 It’s a helmet that’s undoubtedly easy to spot on the track thanks to its vivid color scheme. This design is similar to the “Soleluna” helmet design we saw back in March. That was more of a retro 1970s look while the new Tricolore design has a distinctly Italian theme, but the big sun and moon on either side of the helmet are similar in both designs. Rossi ended up finishing in third place at the Italian GP behind two Ducati riders—Jorge Lorenzo in first and Andrea Dovizioso in second. This third podium for Rossi this season puts him in second place behind Marc Marquez in the overall championship standings following the Italian GP.